Dodson Brothers Exterminating Co., Inc. Comment: Birds nesting in dryer vent. Remove birds and nesting material. Replace vent covers with pest guard covers. Comment: We have had an influx of large wolf spiders last year and it seems they will be just as bad again this year. Tried mint, diatamaetous earth...nothing keeps them out of the house. Comment: Tiny ants just showed up inside my kitchen. Need to control this before it gets out of control. Must be a result of all this rain! Comment: The tenant of my third floor condo is concerned as she has seen a wasp stuck in a window and flying around the balcony. Do you provide a service to treat against wasps for a third floor condo? Frederick Pest Control Services are rated 4.67 out of 5 based on 1,851 reviews of 17 pros. 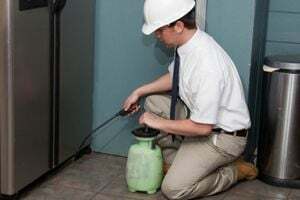 Not Looking for Pest Control Contractors in Frederick, MD?